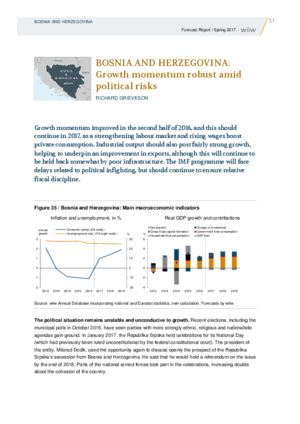 Growth momentum improved in the second half of 2016, and this should continue in 2017, as a strengthening labour market and rising wages boost private consumption. Industrial output should also post fairly strong growth, helping to underpin an improvement in exports, although this will continue to be held back somewhat by poor infrastructure. The IMF programme will face delays related to political infighting, but should continue to ensure relative fiscal discipline.